pIf you’re expecting, one of the daunting tasks ahead is how to set up and decorate a baby nursery. 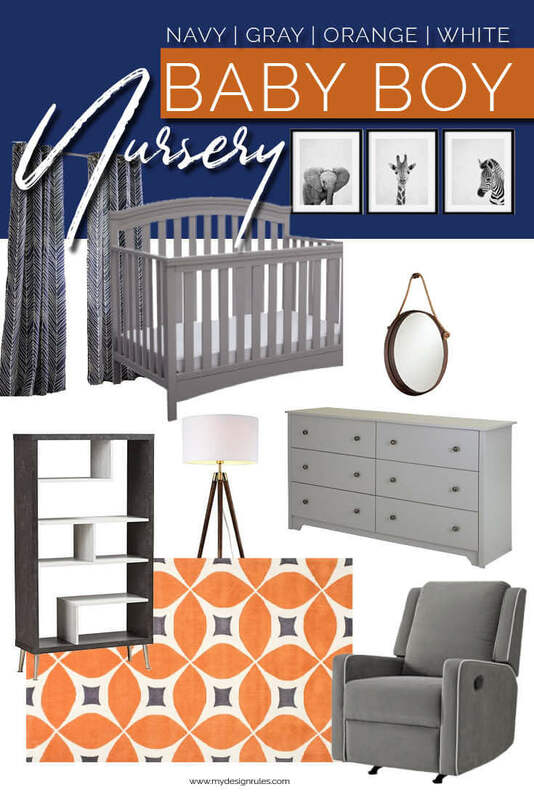 Even though I am NOT pregnant, I’m sharing nursery DIY décor ideas. 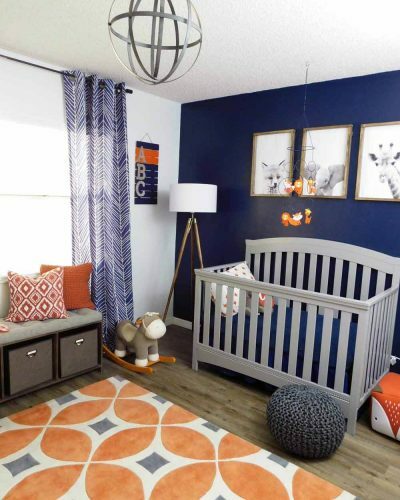 While I do feel like I’m having a kid, I am giving life to a simple baby boy room in hues of traditional navy blue, gray and orange mixed with a bit industrial-rustic charm. 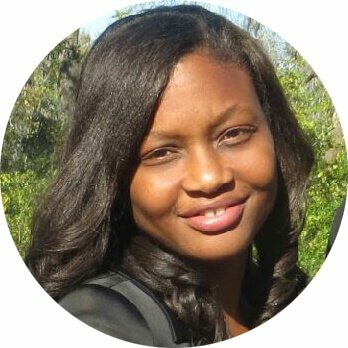 I’ll take you on the design journey with me. You ready? I’m designing this baby room for two reasons. My little sis is preggo and she’d kill me if I didn’t. It coincides with the One Room Challenge hosted by Calling it Home and Better Homes and Gardens. 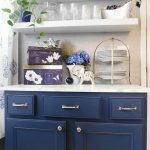 20 seasoned designers and over a slew of guest participants plan and execute makeovers of a room of their choice in just six weeks. It’s called a challenge for a reason. Designing a space takes planning, budgeting, shopping, executing and then finally styling and photographs. It’s a lot to do at breakneck speed. But it’s also amazing to see the creative process unfold before your eyes. For years I’ve followed along and this time, I’m getting my hands dirty. 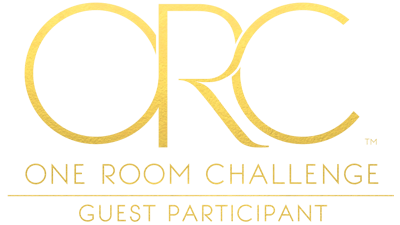 Over the challenge period, the featured designers will post their room plans and progress on the ORC Blog on Wednesday and you can see all the guest participant rooms on Thursdays. My desire is not only to showcase a beautiful room but to take you through the design process with me. I am NOT an interior designer—those people go to school for years and can tell you where to move walls and put plumbing AND make it stunning. 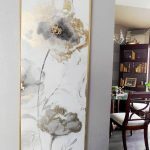 I’m a DIY home decorator who’s kinda figured some things out a lot along the way and my aim is to help you replicate good design in your home without feeling overwhelmed. Before you start decorating any room I recommend dreaming a bit. 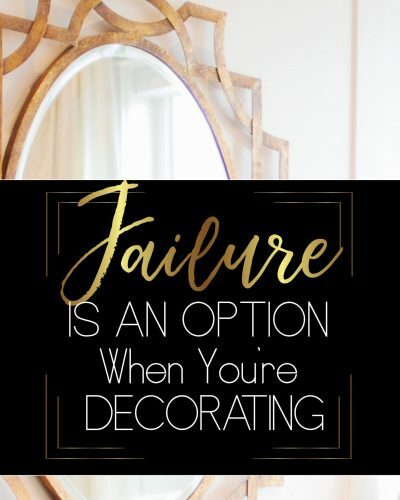 I always begin any DIY room décor project brainstorming ideas anywhere I can find. 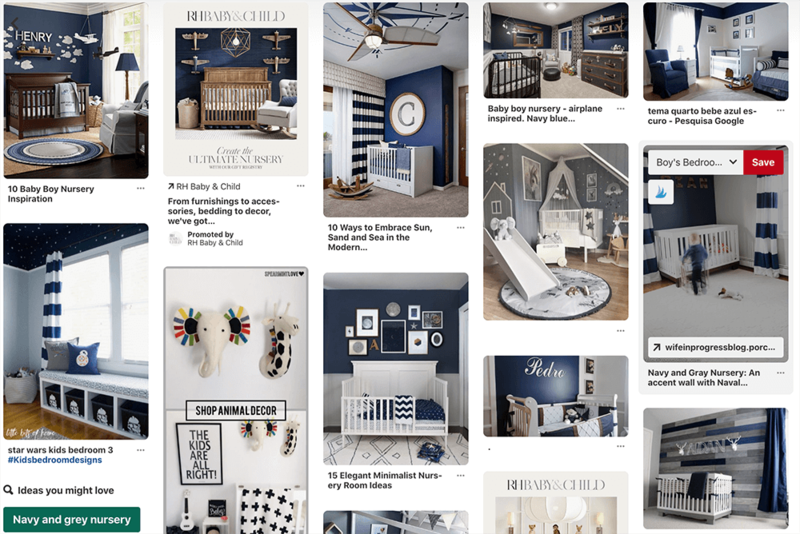 For this baby boy nursery, I sent my sister to start a Pinterest Board. Pin to your heart’s content, however, give yourself a time limit. You could spend an eternity idea gathering, but after a while, you’ve got to stop and assess. Now that you’ve got a million ideas, you need to narrow it down to like five. Yep, a million to five! Here’s how. Take a broad look at all your pins and try to assess the trends. Group the like rooms together and delete anything you’ve changed your mind about. Once you determine your trends, figure out and write down exactly what you like about the rooms and use those as a guide for shaping your room décor. Need more help? Read this post on how to define your signature style. 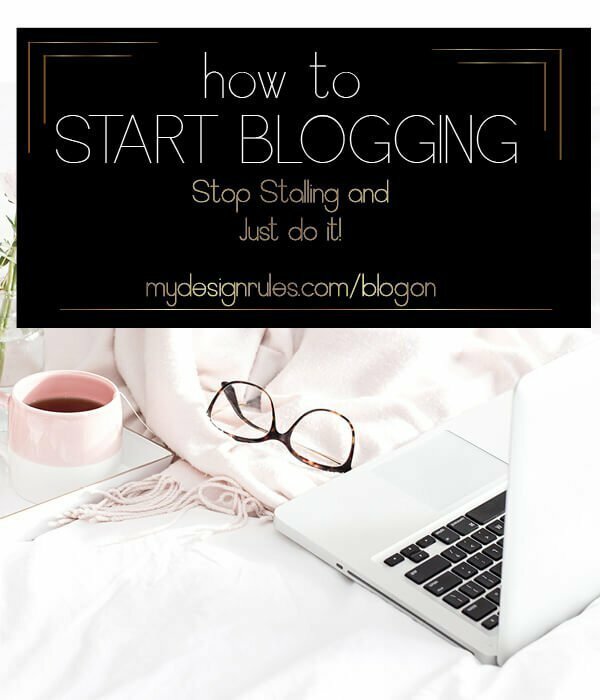 It walks you through that process step by step with a free workbook. Ok. By this time, you should have a color scheme in mind. We came up with navy blue, gray and orange for this boy nursery because my sister was determined not to conform to my neutral ways. She LOVES color and she also kept pinning bright cheery rooms over muted neutral tones. Obviously, she wanted a happy, cheerful nursery. While she thought the soft colored, serene baby rooms were nice, it just wasn’t ‘her’ and that’s OK. Defining your signature style sets you free from conforming to something just because it’s pretty. Related: How to Choose Room Colors the Easy Way. If you’re going for a theme, you’ll want to narrow that down too. We decided on animals, but won’t be going too overboard. The best thing you can do before you buy even a baby blanket is to create a mood board; a visual representation of your room. 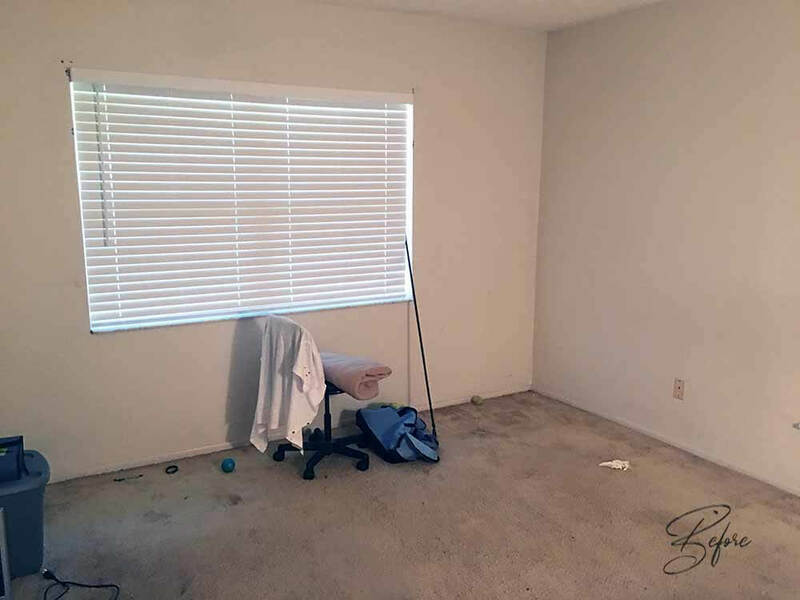 They are the greatest defense against buyer’s remorse when it comes to decorating a room. 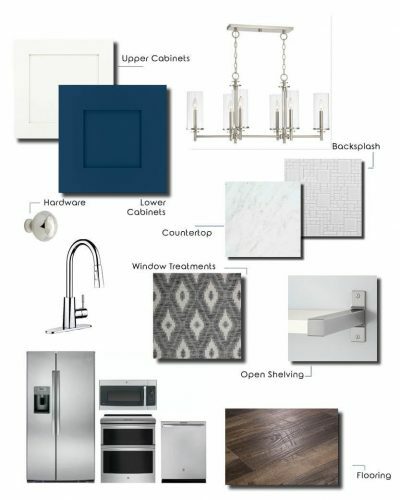 Mood boards (also called vision boards) help keep you laser focused when making purchases and give you an amazing view of what your room will look like BEFORE you have to put any furniture together. I created a step by step tutorial on how you can Create Your own Moodboard in PowerPoint. No fancy software required. Your mood board doesn’t need to include every item you’ll place in the room, but the essential furniture YOU find necessary, a few accessories and textile (fabric) options. To say we agreed on every single element that made it on or off this mood board would be a lie. My sis is pretty traditional and I wanted to push her off a cliff with lofty DIY ideas. We met in the middle and both of us LOVE this mood board. We mixed the traditional with a bit of contemporary and a splatter of industrial. We’ll see how it all comes together. This room served as workout area/lounging room/playroom for my son when he spent the night with auntie and uncle. Here it is after removing most of the workout equipment and random chaise lounge bachelor pad stuff. I wouldn’t dare put them on blast with the REAL before pics. 5. 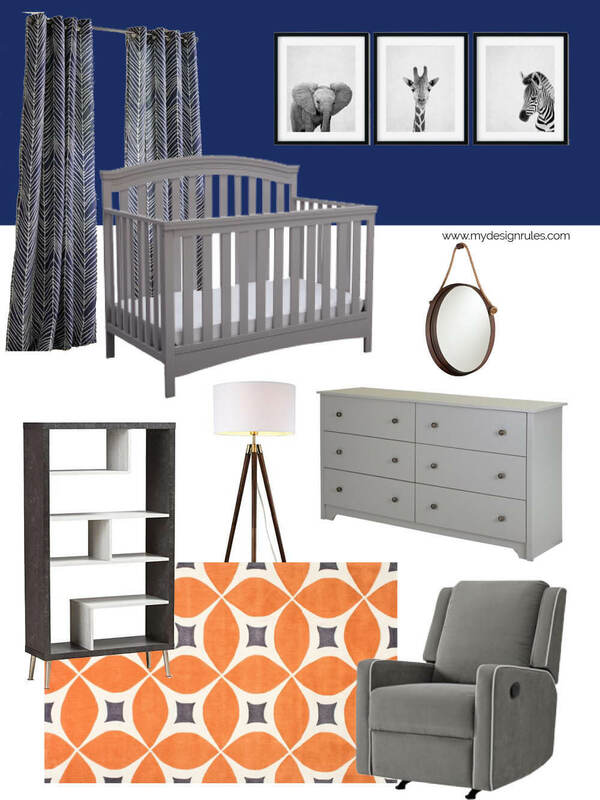 Make your Nursery Dream a reality: Budget, Measure, and Shop! Once we had the aesthetic nailed down, we set a budget! 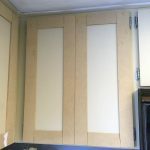 At this stage we realized we have a short time and a decent budget, so thankfully we were able to come up with a room FAST for the challenge and to make her due date. You definitely want to read this Dream to Reality in this post. 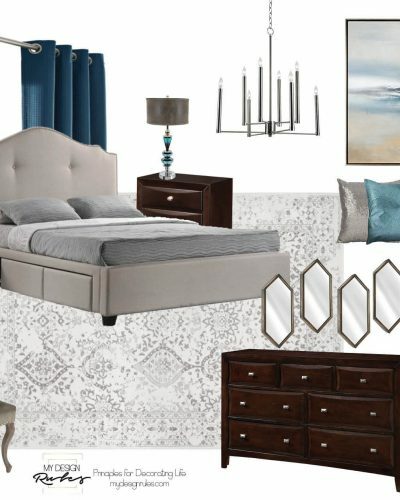 Download the free worksheet to help you plan and execute your room in my Free Decorating Tools. That leaves us with executing and actually doing the work. 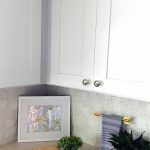 I’ll be sharing the progress along the way and a few really easy DIY projects to add some personality to the room. Keep up with the day to day madness with me over on Instagram. I’ll keep progress photos and videos in my IG highlights. 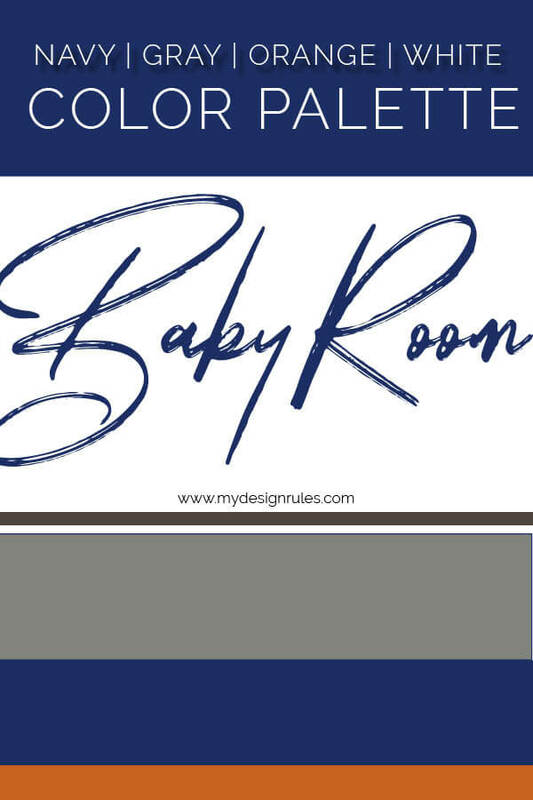 I approach every room with these design steps; I hope you can gleam from watching it up close and learn how to design a baby room or any room. So tell me, what do you think of the plan? I am loving the color scheme, all of the colors are my faves! I’m so excited to watch everything transform. This is going to be SO good! I love the color scheme especially. Thanks for not putting us on blast!!! I just realized these colors are both mine and Pierre’s favorite colors….Navy and orange. I can’t wait until it all comes together. Oooh, you had me at NAVY! Excited to follow along! Thanks for sharing in all my ups and downs and letting me bounce ideas off of you!